Kevin Danna is a broadcaster for the Santa Cruz Warriors of the NBA’s Development League. Curious whatever happened to that dude who killed it in college but you knew wouldn’t be able to translate his success at the NBA level, at least not right away? He’s probably in the D-League, the NBA’s 18-team minor league that is home to both experimental rules and very experimental styles of play (the Reno Bighorns forced 39 turnovers in an exhibition game this season… and lost 158-135). At the moment, as far as I can tell (because rosters are always changing in this league with guys coming and going to and from Europe, the Phillippines, China and, of course, the NBA), there are 19 D-League players who have Pac-12 experience, four who have played a game on assignment from their NBA club, and one more who was in a D-League training camp before getting the call upstairs. Probably the most intriguing Pac-12 D-League case is Josh Huestis, who was a first-round draft choice of the Oklahoma City Thunder last June. Instead of signing his rookie deal with the Thunder, who had its roster spots more or less filled, Huestis agreed to spend a season in the D-League and is thought to be the first “domestic draft and stash” in NBA history. Through a couple of games in the 2014-15 D-League season, Huestis is averaging 7.5 points and 7.0 rebounds per game for the Oklahoma City Blue, the Thunder’s D-League affiliate. There’s a little more Pac-12 love in OKC, as former Golden Bear Richard Solomon is a starter for the Blue and Arizona’s Grant Jerrett has spent some time on assignment there as well. Finishing off the group, we’re going through each Pac-12 team one by one to recount the season and begin to turn the page to what we might see next season. Today, Cal. Seniors Justin Cobbs and Richard Solomon turned in their best seasons in their careers in Berkeley; there was some promising production out of the freshman class; and the Golden Bears got off to a promising 5-0 start in conference play, with three of those wins coming on the road. Heading into the tail end of January, it looked for all the world that it would be Cal – rather than some of the other league teams like Oregon, UCLA and Colorado, each of which had flashed a little leg earlier in the season – that would have the best chance to challenge Arizona’s presumed dominance in the conference. But, on the heels of that optimism, the Golden Bears went to USC and lost in a terrible effort, allowing a bad Trojans team to cut through their defense without much effort. Mike Montgomery’s squad was never the same after that point. They took advantage of a rowdy Saturday night home crowd and an injury to Brandon Ashley to knock off Arizona a couple weeks later, but won only four more games the rest of the way (they lost nine of their last 14 games) prior to an NIT invitation. The root causes of this failure are many, but relying on freshmen like Jabari Bird and Jordan Mathews for offensive firepower did not help things. Tyrone Wallace, despite showing tremendous improvement in his sophomore campaign, was still inconsistent. And the frontcourt of Solomon and junior David Kravish never really scared anyone. If you haven’t looked at your calendar, we’re ready to flip the page into March – which means, among other things, the Pac-12 Tournament, the NCAA Tournament, and mixed in there somewhere, the end of some great college basketball careers. Over the next week or so, we’ll dig into some of the best senior classes in the conference and reflect on what their careers have meant to their programs. To kick things off, here’s Adam Butler of Pachoops.com giving us the rundown on the waning careers of California’s Justin Cobbs and Richard Solomon. In an ideal world, or at least the world as it’s explained to us, you go to college to “discover yourself.” It’s the greatest time of your life and you’ll make mistakes and learn from them and grow and mature and leave ready to attack the real world. A grown-up. This, of course, is not always the case. 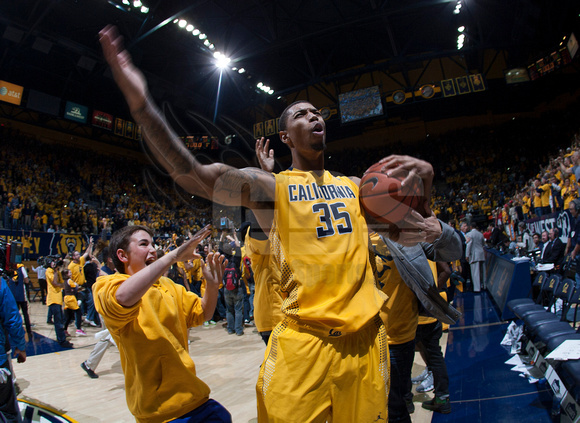 But for Cal seniors Justin Cobbs and Richard Solomon, perhaps it is. Maybe these two personify the college experience because look at them now. As they stand today they’re the leaders of a likely NCAA-bound team – the third Dance of their careers – and another top-half Pac-12 finish. Cobbs is a legitimate Player of the Year candidate and Solomon leads the conference in rebounding by nearly an entire board per game. To understand the magnitude of their senior years, we need to know where they started. What a great sports weekend, am I right? There were 10 Pac-12 basketball games since last Wednesday and eight of them were decided by two possessions or fewer. The #1 team in the nation went down. Outside of the Pac-12, the #2 team survived by the skin of its teeth in overtime. Wichita State and San Diego State continued highly successful (and improbable) seasons. I’m sure there were even some sporting events that didn’t involve basketball, too. Maybe. But before we let the weekend get behind us, let’s spend some time to look back at several of the important things we learned in this week of Pac-12 basketball. Because if you hold a blink a beat too long, the next time you open your eyes, we’re going to be in the middle of conference tournaments. Yes, this season is getting away from us. It’s now February, and every conference school has finished half of its conference slate. And despite all that, we’ve still got more questions than ever. Pac-12 play gets back underway tonight with the Arizona schools visiting the Bay Area. And that means Arizona freshman forward and prized recruit Aaron Gordon is making his return to his old high school stomping grounds, where he played at Archbishop Mitty. As he was in high school, Gordon remains a coach’s dream in college, a hard-working, versatile player that is a great teammate who is always improving. Cal head coach Mike Montgomery, who was among the coaches hot in pursuit of Gordon’s commitment, joined Arizona head coach Sean Miller in praising Gordon’s ability. But, more importantly for the Wildcat’s season than one player’s return home is the chance to again prove their mettle in tough conference road games. 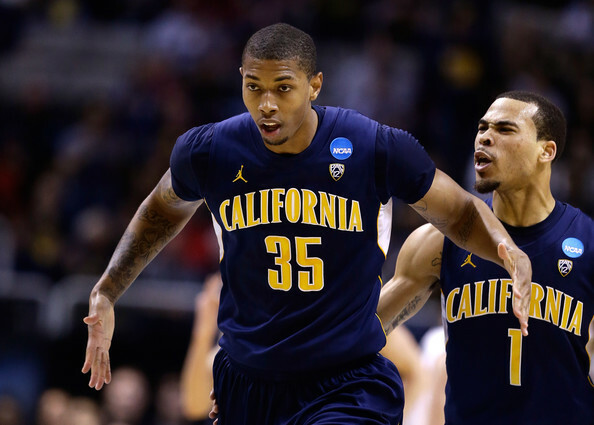 As for California, tonight they host Arizona State in an attempt to get back on track. But the Sun Devils provide significant and diverse challenges for the Golden Bears. First, along the frontline, Richard Solomon will need to continue his strong play as he matches up mostly against the Sun Devils’ senior center Jordan Bachynski who has four inches on him. And then in the backcourt, senior point guard Justin Cobbs may have the experience edge on Arizona State’s sparkplug Jahii Carson, but Carson’s got the clear quickness advantage. And, as always when the nation’s #1 team is up next, the Golden Bears need to make sure they’re not looking ahead to Saturday against Arizona. Good news everyone! Washington State junior guard DaVonte Lacy may return as early as this weekend when they host Washington on Saturday. Lacy has had a rough 2014 so far, missing time following surgery to remove his appendix, returning for 11 minutes and then injring his ribs. And, without their best scorer and leader, the Cougars have been, well, just awful. While it remains to be seen if he’ll actually play on Saturday or possibly wait until next week, it will likely take some time for him to get back to full strength. And until he is back at full strength, the Cougs really don’t have much of a chance to compete on a regular basis. But, assuming he’s back to full strength by March, and assuming Que Johnson’s time in the spotlight has been put to good use, there’s a chance these guys are talented enough to spring an upset on day one of the Pac-12 Tournament. Maybe not a good chance, but a chance. Tomorrow night, Oregon gets a chance to build upon its win over Washington State last weekend by protecting its homecourt against the invaders from UCLA. While the Ducks shut down the Cougars defensively on Sunday, holding them to 44 points (0.73 points per possession), the Bruins offer a whole different challenge, with talented offensive players up and down their rotation. After the up-tempo Ducks allowed 80 points or more in five consecutive games prior to the Washington State matchup, they welcome in the Bruins, who have scored at least 69 points in every game this year and 80 or more in 12 out of their 20. With both teams in the top 20 in the nation in shortest offensive possession length and with KenPom.com projecting a final score in the upper-80s, this may well be one of the most enticing conference games of the season. Lastly, yuck. I didn’t want to do this. I didn’t want to do this at all. It has been an emerging policy at least among RTC Pac-12 writers to ignore Bruins Nation, a UCLA “fan” site that has repeatedly shown an ignorance about basic basketball strategy and is a shining beacon in the world of applying actual events to pre-determined narratives, no matter how silly those applications turn out to be. Given that there are so many better sources for news and opinion about UCLA basketball, there is no reason to usher people in the direction of the TMZ of UCLA basketball coverage. But, in the spirit of comedy, they outdid themselves on Tuesday, suggesting that one of the reasons that freshman guard Zach LaVine (regularly projected as a lottery or border-line lottery selection in the 2014 NBA Draft) may be considering entering the draft following this season is because head coach Steve Alford is playing favorites and will hand the point guard position next year (assuming, safely, that Kyle Anderson is NBA-bound) to his son Bryce Alford, regardless of the competition. Now, we’re not actually going to link to this Onion-esque bit of prose (which, among other things, suggests that LaVine, third on the team in minutes this year, might still be relegated to the bench next season if Anderson leaves), but suffice it to say that this is odd, at best. Right now, without any bit of doubt whatsoever, Alford is the team’s second-best point guard. LaVine is terrific off the ball (seriously, coming off a solid screen and squaring up to get a good look at the hoop from deep, there are very few more fearsome shooters in the nation), but has shown an inability to create for himself or others with anything more than one or two dribbles, and is loose with his handle. He’s a terrific pro prospect because of his athleticism, ridiculous upside and potential to improve those glaring weaknesses. And if he winds up forgoing his final three years of eligibility, it is entirely because he is likely to get paid handsomely for such an opportunity. Either way, while he may well develop into a point guard in time, right now, he would struggle running the point – he’s an attacking wing in transition and a deadly catch-and-shoot guy. But the idea that the criminally-underrated Alford is only receiving playing time because his dad has a soft spot in his heart for him indicates a writer who has decided not to spend any time actually watching UCLA basketball. It is almost a yearly tradition: fans and the media freaking out over a previously undefeated or one-loss team losing a game or two, or three, or sometimes four, in January. This season has been no exception as the last few weeks have seen teams such as Ohio State, Oregon, Iowa State, Georgetown and Wisconsin hit the skids. The Buckeyes and Ducks have each lost four straight games after starting the season a combined 28-0. 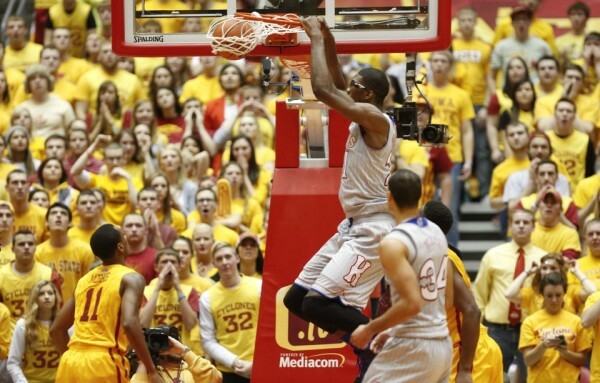 Iowa State was 14-0 before losing three straight over the course of the last week-plus. 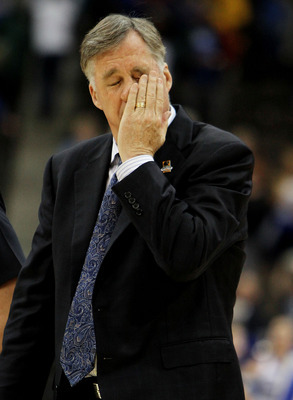 Georgetown was 3-1 in Big East play before suffering three consecutive defeats. Last but not least, Wisconsin, which had run out to an impressive 16-0 start, has suddenly dropped two in a row. There are a number of reasons why this happens. The first is statistical correction. Ohio State is a good team with a woefully inefficient offense; opponents were bound to begin figuring out the Buckeyes and hand them a few losses. Here are some notes from around the Pac-12, coming out of another busy weekend. Need an explanation? Let’s not beat around the bush. Carson has been awful in Arizona State’s five losses. And Carson is not an awful player; in fact he’s very, very good. In order for the Sun Devils to take the next step, however, and get into the NCAA Tournament, Carson needs to up his game and be the type of consistent performer he was as a freshman. Carson toyed around with the idea of leaving for the NBA Draft last season, but he returned to Tempe with the hope of tightening up his jumper and proving his NBA credentials. Unfortunately for his prospects and team, a sophomore slump has left more questions than answers. 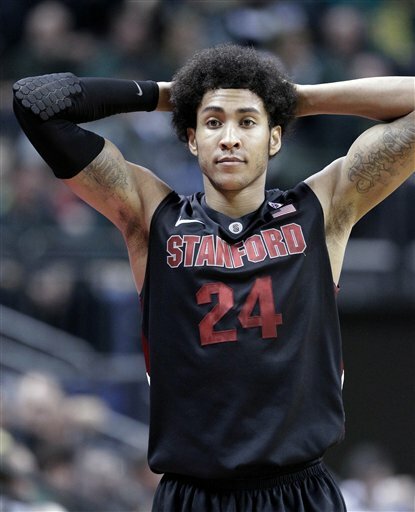 Across the bay, Stanford may be starting to play some good ball. After squeezing by Oregon in a well-played game last weekend, the Cardinal returned home and laid a hurting on an overmatched Washington State team on Wednesday night. Which is good, because that’s the type of thing this team should be doing. They had four guys in double-figures (with leading scorer Chasson Randle playing distributor) on their way to a 32-point win, but need to prove they’re capable of stringing together victories in the multiple before they’re really taken seriously. Nevertheless, they’ve found their way into NCAA Tournament conversations, sneaking into Joe Lunardi’s most recent bracket as one of the last four teams in. Oregon and Oregon State will get it on Sunday afternoon while most of the rest of the country will be focusing in on an NFL Playoff game. But if you’re interested in excitement, minus all that pesky defense that just gets in the way, this might be your game. As Andrew Greif of The Oregonian points out, according to Sports-Reference.com (and we’ll have to take Greif’s word for this as I am not double-checking his facts), seven of the 20 worst Pac-12 defenders over the last four seasons will be playing in this game. Names like Jonathan Loyd, Roberto Nelson, Jason Calliste, Challe Barton and Angus Brandt are no surprise – Loyd’s height makes him a liability; the next three are completely uninterested in defense; and Brandt has all the mobility of a statue. But first and third on that bottom 20 list are OSU freshman Malcolm Duvivier and sophomore Langston Morris-Walker. This is a crime. Neither of those guys has any right to be on such a list unless they just aren’t trying. In which case, neither of those guys brings enough to the table offensively to deserve a crack at the court. In advance of the bouncyball version of the Civil War, Craig Robinson took the time to offer some pointed comments regarding the current state of NCAA transfer rules. Robinson called the rules unfair to smaller schools and passive-aggressively commented about how he didn’t know how to “go out and poach guys when you really aren’t supposed to be able to talk to them.” Given Dana Altman’s success with transfers down the way in Eugene, clearly such comments can’t be taken as anything other than a direct reference to the Ducks. Altman, of course, defended his program, saying that all of the senior transfers who have wound up choosing Oregon have done so after those players had first initiated the contact with the school. Lastly, Doug Haller’s Pac-12 Insider column at AZCentral.com is one of the best things covering the conference. This week, he looks at the opportunities for Arizona high school players Jaron Hopkins and Que Johnson to step up in place of injured starters, and also points out that Aaron Gordon, per hoop-math.com, leads the Pac-12 in putbacks. Want to know how dominant the Arizona front line is on the offensive glass? Gordon’s teammate Brandon Ashley is third in the conference with 23 himself. Put it this way (bonus analysis! ): Gordon and Ashley between them have more putbacks than more than 160 Division I teams, including Utah (50), Stanford (46), Oregon State (43), and Arizona State (34). For what it’s worth, Kansas, a team with comparable size and athleticism to Arizona, has a total of 37 putbacks. For the entire team, the Wildcats have a total of 84 putbacks! As part of the conclusion of the non-conference slate, it’s time for Connor and Drew to recognize some of the Pac-12 highlights through nearly two months of the regular season. We’ll cover all the basics: Player of the Year; Coach of the Year; Freshman of the Year; an all-conference team to this point; as well as the biggest surprises and disappointments. And we’ll give you our rationale on each. So let’s get right to it, and let us know where you disagree. Player of the Year – There’s still a lot of hoop left, so we’ll each give you our current top three picks in this category and some reasons why. Joseph Young. Young has been the cornerstone of Oregon’s offense, scoring in double figures in each game and acting as the guy to lift them whenever they hit a scoring lull. Roberto Nelson. The conference’s leading scorer has put up at least 17 points or more in each game the Beavers have played, save the contest against Towson in which he was ejected for attempting to throw a punch eight minutes into the contest. Jahii Carson. 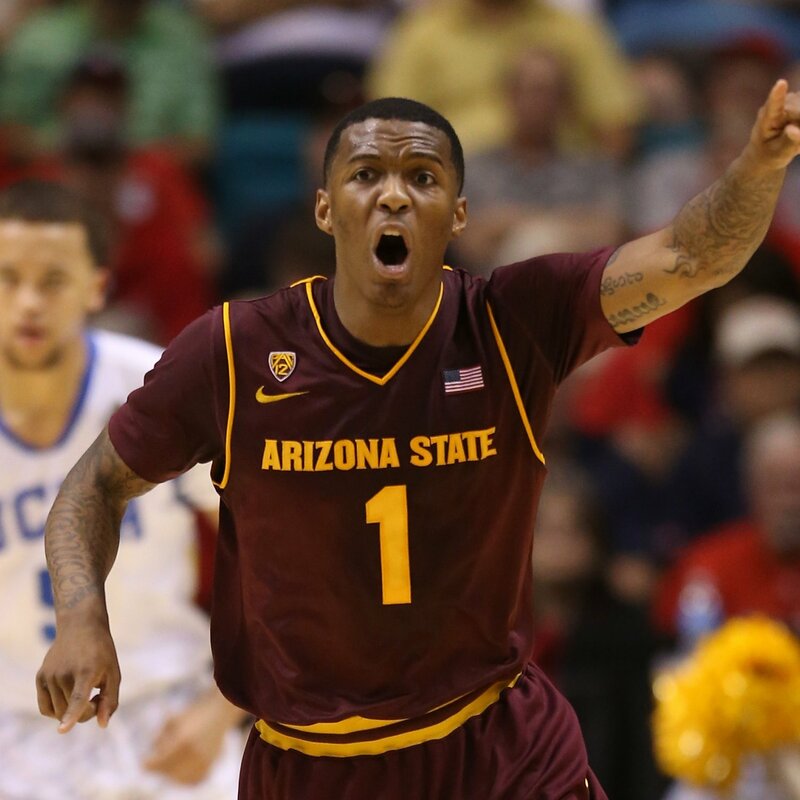 Jahiisus, who just might be the quickest point guard in the country, steps up whenever he is called upon for Herb Sendek’s Sun Devils. Whether it’s been a 40-point performance at UNLV or a 23-point showing to beat nationally-ranked Marquette, no stage is too big for the super sophomore. Joseph Young. Might as well make it unanimous. While Young has had plenty of help in Eugene, he’s been the best offensive player on a team chock-full of them. Jahii Carson. Expectations were high enough for Carson coming into the year so that his 19.3 PPG, 5.4 APG, 3.9 RPG and 51.4 percent three-point shooting are seen as almost a disappointment. Which is ridiculous. Expect him to be a big part of the Pac-12 POY conversation when all is said and done. Delon Wright. He’s come out of nowhere and hasn’t exactly played against great competition, but his production has been fantastic across the board. If he can keep this up, he’ll be in contention for this award come March.